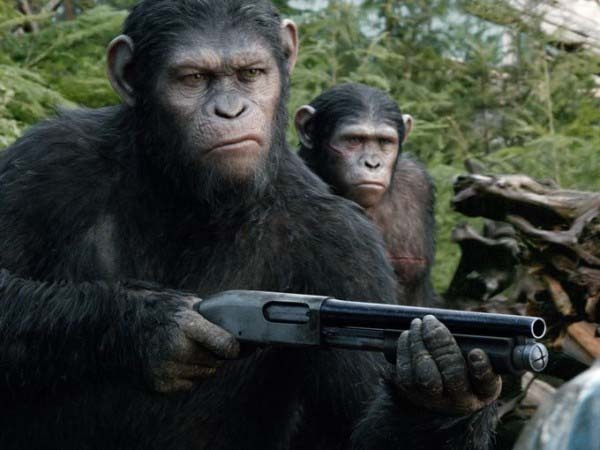 The full trailer for Dawn of the Planet of the Apes was launched today, and it looks pretty damn good! War is coming, and we can’t wait. 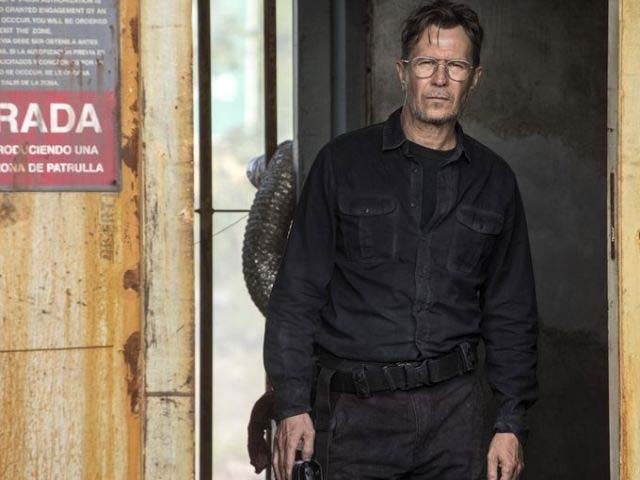 We got our first look at the action in the teaser trailer posted in December, and since then we’ve had to make do with promotional photos and television spots for glimpses of what to expect. Now 20th Century Fox has given us a glorious full trailer which is a far better indication of what to expect from the simian sequel. Whereas the teaser trailer focused largely on the humans (as well as Caesar’s intense and motionless face), in this moody trailer we get a much better look at the apes. They’re riding horses and we can see far their language skills (and population) have developed. It’s clearly a far more ape-centric film than its predecessor. The CGI on the apes seems a swing-and-a-leap ahead of that in the previous film, which itself was fantastic. The sequel to 2011’s Rise of the Planet of the Apes, this film takes place 10 years after its predecessor, and moves the storyline away from the human characters of that film. In this, Caesar’s growing nation of apes are threatened by a group of human survivors, and as this trailer shows, it’s going to be all-out war. Though the human characters are different, Caesar (Andy Serkis) clearly hasn’t forgotten about his past, as we see him watching a video of himself with former father figure, Will Rodman (James Franco). Franco’s character doesn’t return for this film and due to his proximity to the virus in the last film, that’s perhaps no surprise. Serkis – who has this week been announced for the cast of Star Wars Episode VII in an unnamed role – looks set to deliver what could be his best motion-capture performance yet as Caesar. From this trailer, it seems likely Jason Clarke‘s sympathetic Malcolm will come head-to-head with Gary Oldman‘s Dreyfus in their different views of the apes. The film also stars Keri Russell, Judy Greer and Kodi Smit-McPhee. It’s a strong year for blockbusters, but this looks as much of a must-see as anything else. As Caesar says, ‘Apes together, strong’, and this certainly looks like a strong release.